I just saw a "Back to School" ad this week on TV...not funny!!! We still have a bit to go this summer and it's not too late to READ! Here are some great incentive programs for summer reading. Last summer, we found some great programs and we found some more out there! Happy reading! Enjoy the rest of your summer!! It's flying by!!! American Girl has a reading program for you! Read-a-Palooza is a great way to get your 8-12 year old reading this summer! Head to the American Girl website and download bookmarks and book-related activities involving all of the American Girl Historical characters. If you're lucky enough to live near a store, check out the schedule for free book activities throughout the summer. If you choose to purchase an American Girl book, through the end of August, $1 of every book purchased through American Girl (up to $100,000) will support Save the Children's efforts to increase literacy in areas in need of assistance! Read up!! Check out Half Price Books to get some bookworm bucks! Once you've logged 300 minutes of reading, submit your reading log online and become eligible for a five dollar gift card to half price books. 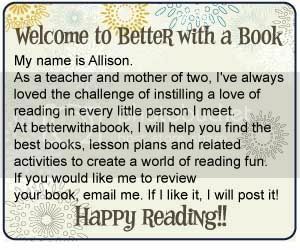 Visit the site for reading tips, logs and book lists! Some great stuff here. My daughter loved American Girl dolls and the books. Chuck E. Cheese and reading? What could be more fun. Thanks so much for sharing. I hope all is well with you and your family and that you're having a great summer.